Miles and miles of short-cropped grass stretched in every direction, creating a typical English, Welsh and here Scottish upland view. The Lake District, Snowdonia and much of Scotland are full of them. It’s what the general public expect to see on a day out to such places. Unfortunately George Monbiot’s book, Feral, has changed my view of the views that were on offer on these Scottish mountains. I’ve always been aware of the lack of diversity in our uplands. They tend to be either heavily-nibbled grass or great swathes of heather. In both cases biodiversity is low, and often very low. 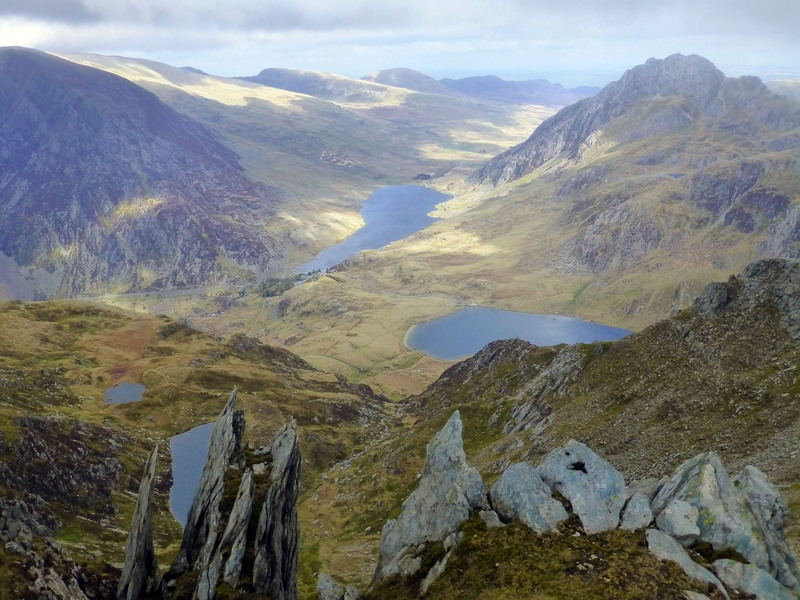 As I wrote in a previous blog, ‘ In April I spent a day in Snowdonia – one of our national park ‘jewels’. After 8 hours of walking my birdlist was……… five. Five species – in a national park for God’s sake. If it hadn’t been for half a dozen Herring Gulls scavenging sandwiches at the summit of Snowdon the total of individual birds seen wouldn’t have been much more than five.’ Here I was again, at altitude on a beautiful day, but, despite the glorious weather, the whole experience was slightly depressing. I couldn’t put my finger on it for a while but then the penny dropped. There obviously wasn’t a bird or animal for miles. Six hours produced Meadow Pipits, a few Ravens and precious little else. It’s now that bits of Feral hit home. Monbiot’s description of these landscapes as ‘sheepwrecked’ says it all (2). Often a term as clever as this doesn’t quite hit things on the head. There has to be a bit of tweaking to make it fit. But not here. Sheepwrecked is what these hills are, as far as the eye can see. Sheepwrecked is the perfect description of this green monotone – with the help, in this area, of quite a few deer – and it’s taking the edge off my day. I can’t help but think what else these hills could be, what life they could support and how much more interesting that would make them to the millions of us who walk in them. Hill farming is hard and it’s uneconomic. Most of these enterprises don’t turn a profit and simply couldn’t exist without subsidies. In fact, the average subsidy for a Welsh hill farm is £53 000 against a net income of £33 000. In other words we – you and me – pay £20 000 a year on average to each farmer to enable him or her to create a landscape that is virtually devoid of life. Let’s just say that again – we pay through the nose to create and maintain lifeless green deserts in most of our hills and mountains. 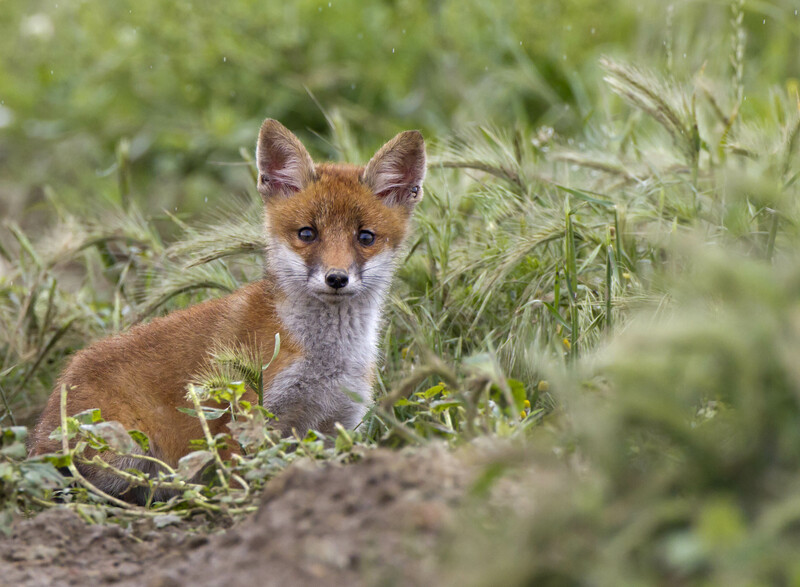 It’s madness and we’re all affected by this bizarre use of the uplands, both in the pocket and in the experiences we’re denied when we’re out in these landscapes – the chance encounter with a fox, a hunting stoat, a hare or a raptor. 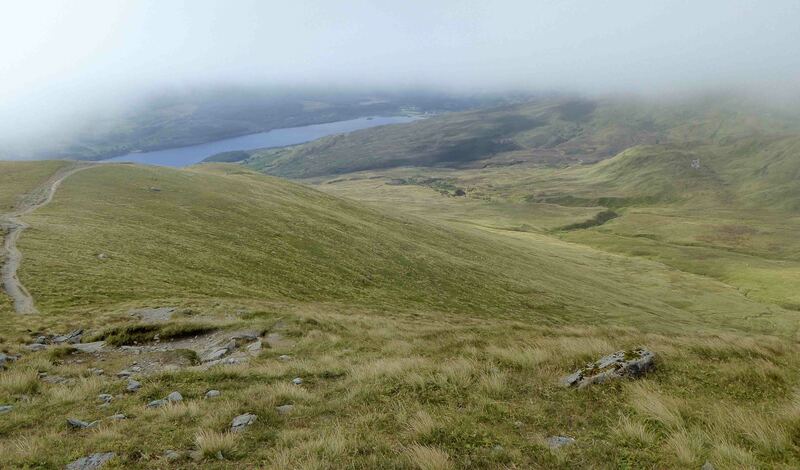 As Mark Avery says in ‘Inglorious’, ‘Upland landowners need to recognise that everyone has an interest in how the uplands look and what goes on in them because everyone is paying for those activities’ (3). But it’s not just the landowners or hard-bitten tenant hill farmers who need to do the recognising, it’s the government. They make this madness possible. They subsidise uneconomic activity which creates environmental harm over huge areas. There has to be a better way. 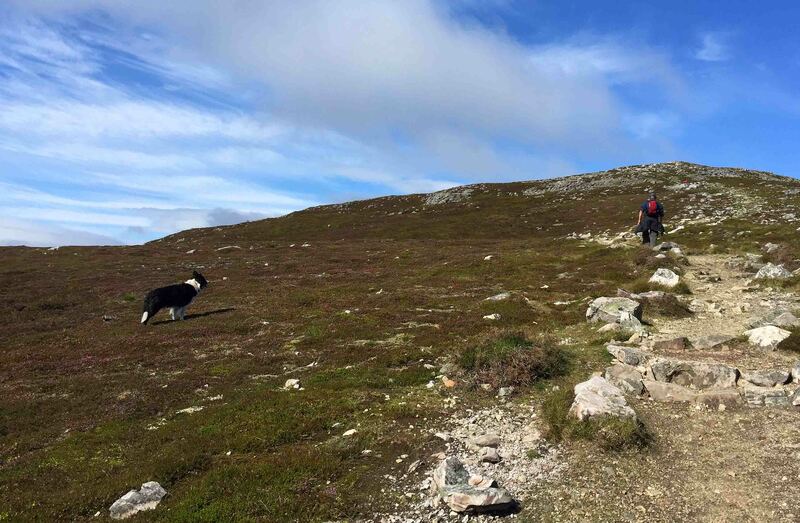 On the way down Ben Lawers, sun still shining, coffee consumed, dog finally showing her 13 years, we come across a glimpse of an alternative future. 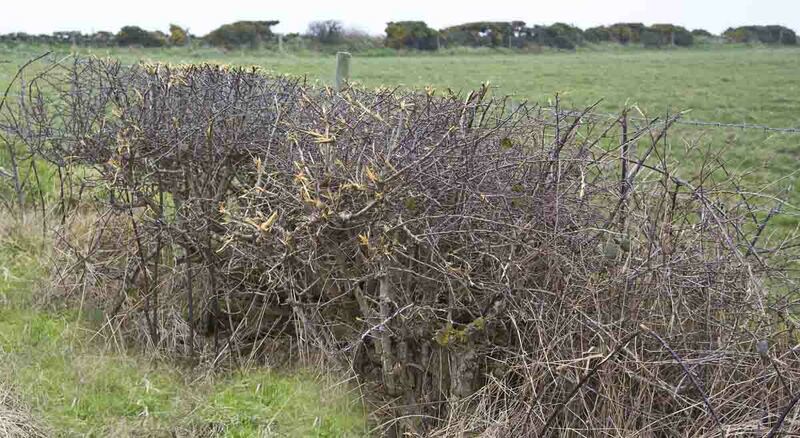 A tall fence encompasses a small area of land that has been able to regenerate without the limiting presence of sheep and deer. Wow. What a difference (You need to click on the picture to really appreciate the difference). There are trees and shrubs, with birch, willow, juniper and rowan. The ground vegetation is tall and much more diverse. There are bees and crane flies everywhere. And….. there’s a bird. A Stonechat flits across onto a nearby rock and eyes us warily. I realise it’s the first bird we’ve seen in nearly an hour. Is this a glimpse of how our uplands will look in the future? Is it possible that huge areas could look like this, with such a dazzling array of life? It could be, but first we need to decide on the nature of the benefits. What kind of ‘benefits’ will be deemed more important? Will they continue to be benefits paid to upland farmers – in the form of subsidies perpetuating such an uneconomic and environmentally damaging way of life? Or will they be in the form of benefits to society as a whole of regenerated, diverse and exciting upland landscapes with all the opportunities they could offer? We pay for what goes on in the uplands. It’s up to us to press for the uplands we want. A press of a button at the North York Moors National Park Centre lets you listen to this local ‘character’ who I have recorded here. A statue of a gamekeeper giving a balanced view of grouse shooting? Like hell it is. This would be bad enough if it was from an actual grouse-shooting estate. What we have here seems to be blatant propaganda justifying criminal activity and I can’t believe that the National Park in which I live has this as its official line. Below is a letter I’ve just sent to them. As a resident of the North York Moors National Park I am writing to you regarding the practice of grouse shooting within the park boundaries. 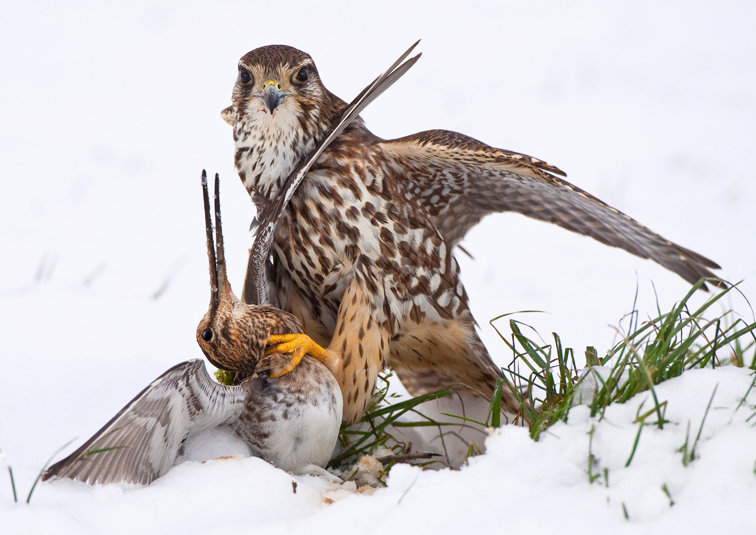 With North Yorkshire having been named as England’s worst county for the persecution of birds of prey why is it that our National Park supports an activity that has been repeatedly linked to wildlife crime? Why can’t people enjoy the sight of a Hen Harrier or a Short-eared Owl flying across open countryside on their weekend walks? Where are the Peregrine Falcons, Ravens and Buzzards? In addition to the illegal killing of raptors there are several other issues linked to the forms of land management associated with, in particular, driven grouse shooting. For example, how exactly does heather burning improve the landscape of our National Parks? A recent study by Leeds University states ‘The owners of grouse moors who set fire to heather to promote green shoots for young birds to eat are polluting rivers and contributing to climate change‘. In addition, the resulting patchwork looks awful. This study further suggests that water from catchments dominated by grouse moors leads to increased water bills for many customers (since the costs of water cleaning are met by the customer not the polluter) and perhaps a greater risk of flooding. So why is this allowed to happen within the National Park? And please, just to save you the time and effort, don’t invoke the need for grouse shooting to maintain heather moorland or the need for heather moorland to maintain grouse– was there really none of either before 1800? The Cairngorms National Park is now beginning to address the issue of driven grouse shooting. It states, ‘While this single issue land management has achieved year-on-year record-breaking grouse numbers for sporting purposes, we consider that this activity comes at significant environmental cost’. In words that can equally be applied to The North York Moors National Park, it adds that illegal persecution of birds of prey to protect grouse has a ‘very damaging effect’ on conservation and public understanding, adding: ‘There is an unfortunate record of illegal raptor persecution in and around the national park, which risks undermining the park’s reputation as a well-managed place for nature and wildlife tourism’. Will the North York Moors National Park reconsider the status of driven grouse shooting within its boundaries? Will you speak out more forcefully against wildlife crimes being committed in the region on and around grouse moors? Will the ‘gamekeeper’ at the Moors Centre be rerecorded to be less of a propaganda machine? Do you have any powers to influence or alter existing practice in this industry when it takes place within the boundaries of the National Park? I would like to hear your views and to learn more about what powers the Park authorities have to monitor and affect what happens in the National Park related to this issue. So the vote is lost and it’s business as usual in Malta. 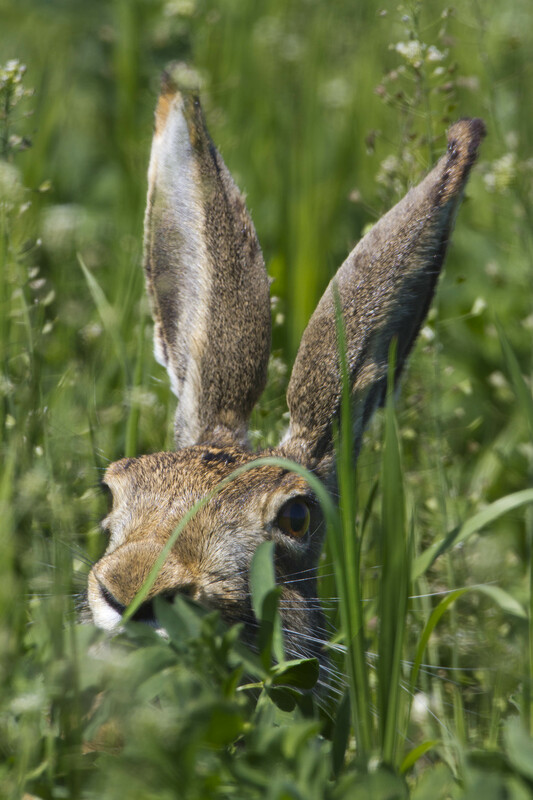 The majority in favour of spring hunting took 50.9% of the votes . So, starting today, birds on their way to breed in Europe will be slaughtered in their thousands by hunters wearing both camouflage and even broader smiles than usual. So, who’s to blame for this huge loss for conservation? Firstly the hunters – because without them this issue wouldn’t exist. However, the majority of these people may well have limited education and lead very little lives. Well, you’d have to really, to get such kicks from killing small birds. Of course, the need to kill things may also point to size deficiencies in things other than intellect, but we needn’t go into them here. So who else is in the firing line? Well, the poll was lost by a mere 2220 votes with 75% of the population voting. Blame also lies, for me, squarely in the laps of those other 25% who in many cases probably couldn’t be bothered to stand up for the lives of their fellow creatures. You can bet your life that everyone who wanted the killing to continue got themselves out there, so the vast majority of the remaining 25% would likely have voted for life rather than death. If only they could have been arsed. Third in my sights is the EU. How is it that Malta got to vote anyway? How is it that spring hunting is even an issue to be voted on? It’s against European law and is allowed nowhere else. Shouldn’t that be enough? What happened? Did Malta only agree to join the EU and receive large amounts of EU money if spring hunting was allowed to continue? Was it – ‘You allow us to carry on regardless if you want us to accept your cash’? Heads I win tails you lose. How did that happen? The EU has to deal with this issue once and for all rather than pussyfooting around hoping Malta would sort it out themselves. They couldn’t and so the EU, very happy to regulate so many other aspects of our lives, needs to step in. Why, you might say, should we do anything at all? Malta has decided for itself. It’s their decision. Well, I’ll tell you why. Number one – these aren’t Maltese birds. They belong – if belong is the right word – to all of us. 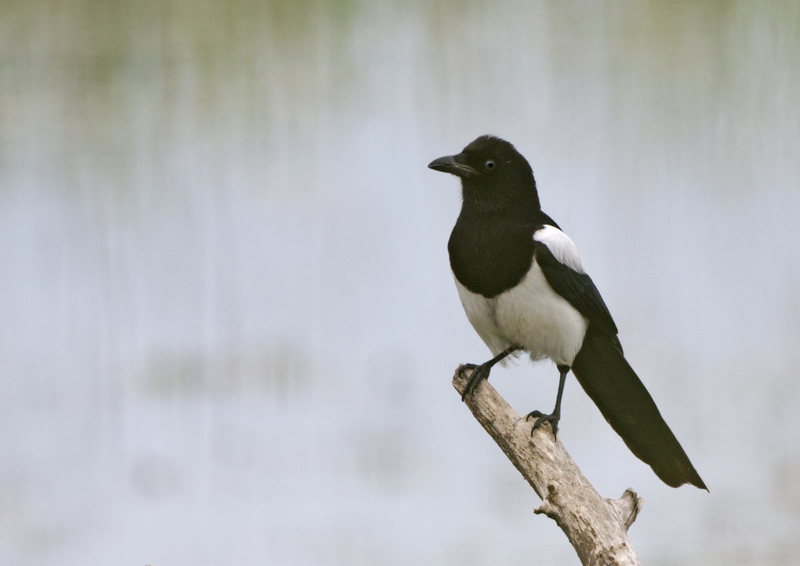 Two – while I also dislike hunting during autumn migration it is far less damaging to bird populations than killing in spring. In autumn there are far more birds heading south than come north in spring, because there are all the year’s youngsters as well. Many of these will not be around next spring because of starvation, predation, accidents etc. over the winter period. That’s natural and is why birds usually raise several chicks each year. Spring hunting, however, takes out the survivors. These aren’t young birds that might have died naturally before returning north. These are the superbirds – those that have survived all the dangers that traveling thousands of miles and then surviving for months on another continent can bring. It really is the survival of the fittest and here they are, in prime condition and ready to breed. And then they make their last landing in Malta. Killing these birds is very damaging to the population as a whole. 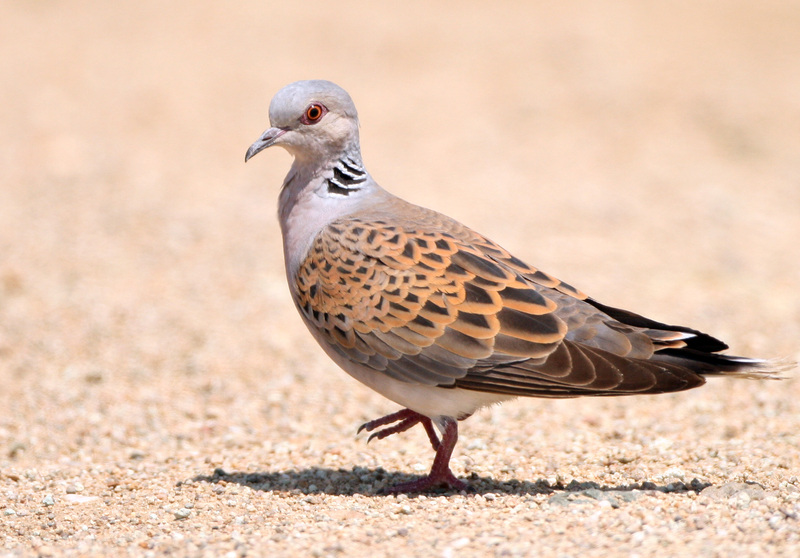 Three – the populations of the two permitted target species – Turtle Dove and Quail – are in freefall across Europe with Turtle Dove numbers down by 77% since 1980 . Doesn’t that count for anything? Four – allowing any spring hunting means all manner of protected birds are shot and, make no mistake, this is what happens. No doves in sight? Never mind, there’s an Osprey about to take its last breath. 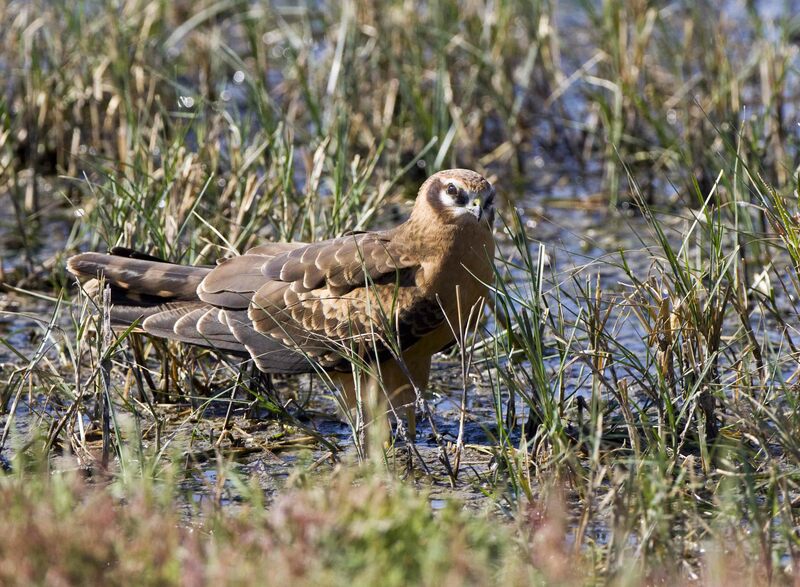 Or a Montagu’s Harrier perhaps. If spring hunting was banned there would be no excuse for shooting anything. There would be no gunfire. As such it would be so much easier to police. We know that hunters don’t stick to the law. There’s years of evidence to show that. So, where are we? It’s impossible to influence the hunters whose manhood demands that cruelty and death be inflicted on little birds. It’s also too late to influence Maltese citizens. So there are two things we can do. For the short-term, we can donate to and support organisations like CABS (Committee Against Bird Slaughter) and Birdlife Malta to help them police this season’s killing to at least keep it within the rules. For the longer term we must write, en masse, to our MEPs. They must exert pressure to bring Malta within EU law and they will only do it if enough of us tell them to. Here’s a letter that can be downloaded and modified, courtesy of Chris Packham who has done so much to raise awareness of this issue. The alternative is to just capitulate. 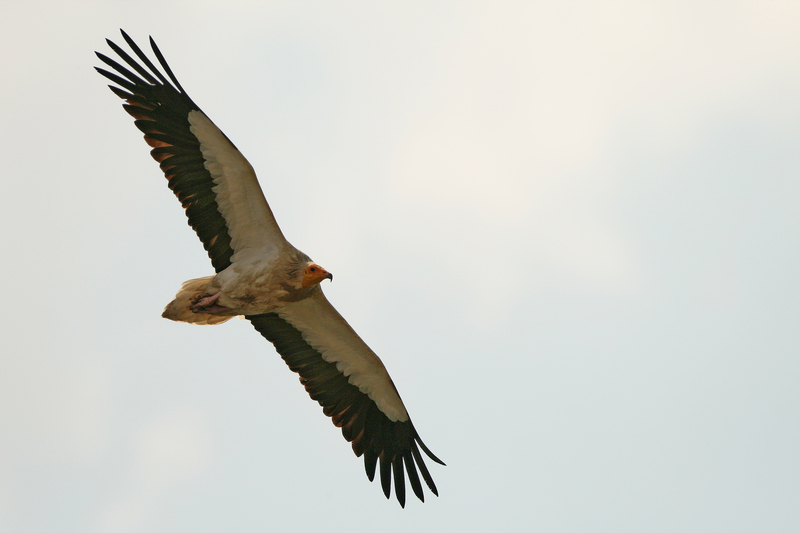 To give up and let Europe’s avian treasures pay the ultimate price. And that’s not an option. We simply have to keep on to give our birds a better chance of making it home. Take a few minutes and do one or both. Don’t join the ranks of those who just couldn’t be arsed. When we think of corruption it’s often in terms of somewhere abroad. Somewhere in Africa, maybe, or perhaps southern Europe. It’s not usually about something on our own doorstep, but, as George Monbiot writes, that’s because we’re not looking hard enough. ‘Would there still be a commercial banking sector in Britain if it weren’t for corruption? Think of the list of scandals: pension mis-selling, endowment mortgage fraud, the payment protection insurance scam, Libor rigging, insider trading and all the rest.’ (1) Corruption occurs everywhere. And so it is with wildlife crime. We might think it’s ‘over there’ somewhere, and indeed it often is, with ivory poaching and rhino killing in Africa, industrial scale songbird slaughter all around the Med and commercial whaling in all but name from Japan, Iceland and Norway. And it’s not difficult to find lots of other instances around the world. But, just as with corruption, there’s plenty of wildlife crime on British soil. Take the Ministry of Defence’s bases on Cyprus for a start. Although the trapping of songbirds was made illegal 40 years ago, last year saw 900 000 birds trapped and killed there – on British soil. I’ll just say that again – just short of a million birds were trapped and killed on British soil in 2014 alone. And what’s more, the situation is getting worse, with 2014 being the worst year on record. So, why is this happening? Graham Madge of the RSPB said, back in 2012, “This isn’t just a few guys trapping on a Sunday morning with a few nets, this is almost getting into the realms of organised crime. 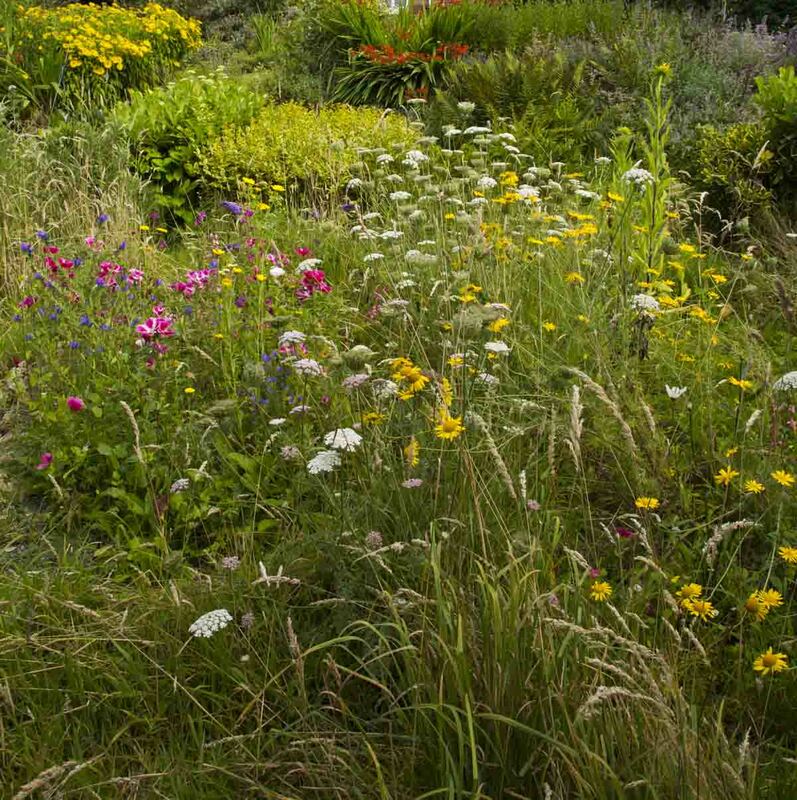 There are massive operations at some locations, to the point where shrubbery is planted across hillsides to attract the birds, irrigation systems are put in to water the bushes to make them attractive to insects and therefore to birds, sound systems are put in. They play the bird song at night as the birds are migrating over the island in an attempt to try and pull them in to trap them.” (2) And all this is just so the local dish of ‘ambelopoulia’ – grilled Blackcaps, Robins and warblers eaten whole – can be brazenly and illegally served in local restaurants. And the Ministry of Defence? Again, back in 2012, it said it took the matter ‘very seriously’. And yet the annual number of birds killed is estimated to have doubled in the two years since. Although this area is British soil, and thus is our responsibility, it isn’t Britain as such. But wildlife crime is rife here too. We don’t have to go abroad to get a bellyful. We just have to go out into the countryside. 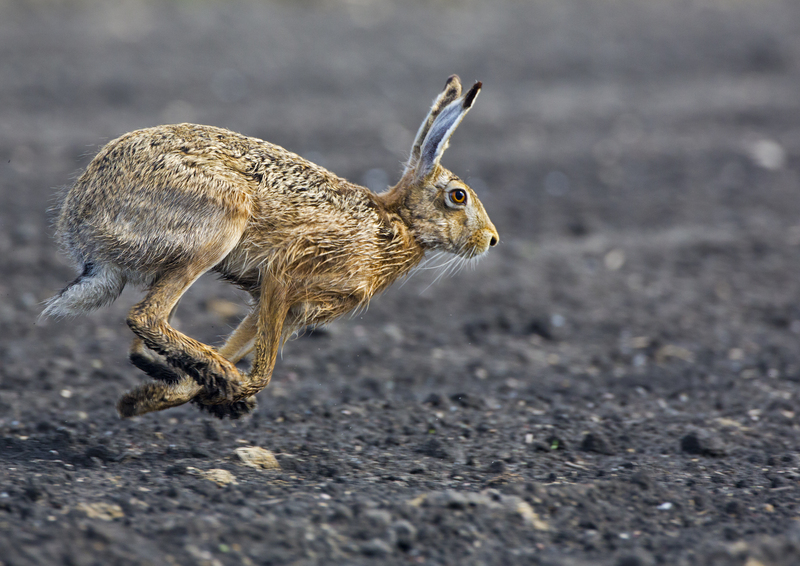 Chasing terrified foxes and hares with dogs has hardly gone away despite legislation. Badgers are still ripped apart for fun with incidents on the increase partly, perhaps, as a result of a degree of legitimisation by the government through its non-evidence based scapegoating of the badger and cap-doffing to the National Farmers’ Union. In addition, all manner of animals and birds are exterminated across our uplands in the name of grouse moor ‘management’ on behalf of wealthy landowners. It’s against the law and it all deprives us of having more wildlife encounters, more biodiversity and a richer natural world. As Monbiot concludes, for many countries the kind of corruption that exists involves paying bribes to officials. But what happens in Britain is much more sophisticated and is carried out by the rich and powerful. Corruption is dressed up as legitimate business. In the same way that the elite influences what qualifies as being corrupt, and therefore excuses their own practices from inclusion for their own benefit, the same happens with wildlife crime. When it would benefit those with power to alter what is a crime against birds and animals they want to change things. Repealing hunting laws? Killing, sorry ‘culling’, protected badgers? Making it legal with special licenses to kill certain birds of prey? Coming up with a plan to legally remove Hen Harriers? The list goes on… and most of these are being discussed to benefit the elite and their activities. The bottom line? Anything rather than changing their own ways. The question is how much do we – you and I – care? Unless people like us take that extra step then things will just go on, illegally, as before, benefiting the few at the expense of the many and perpetuating animal cruelty. And that would be criminal. It’s time to stop wishing and start doing. In the last few years we have increasingly come to realise just how much the migrant birds of the Eastern Mediterranean are under intense pressure. 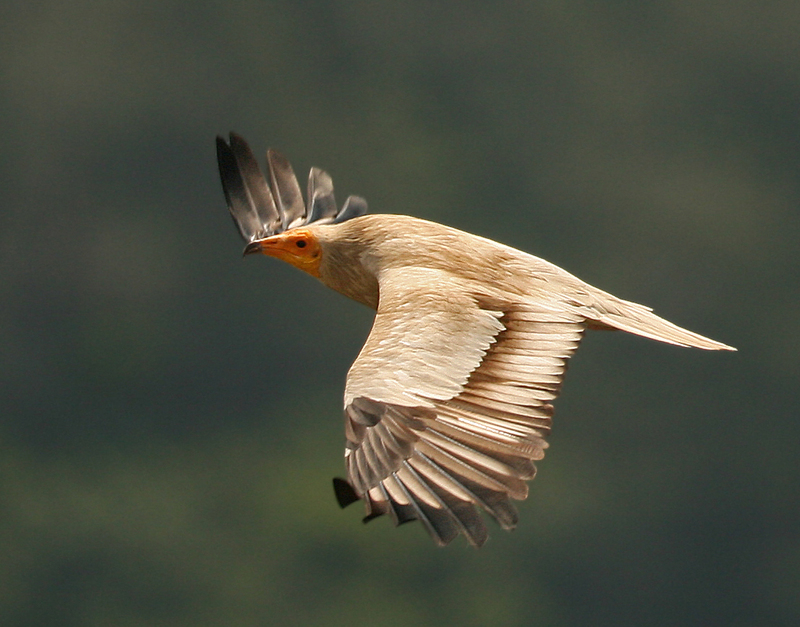 Every year, hundreds of millions of birds make the twice yearly trip between Europe and Africa. Unlike birds that stick to one area for the whole of their lives, the vast movements of migrants mean they encounter many more dangers as they go about their usual year. Not only do most of these migrants have to to cross the Sahara and the Mediterranean Sea each spring and autumn and deal with all kinds of weather conditions, humans also are responsible for incredible hazards they must overcome. A staggering number of birds do not make it. Huge numbers are being slaughtered as they make their journeys. Millions are shot each year en route by people who consider killing a sport. Vast numbers of birds are caught in nets in northern Africa, the Middle East and Southern Europe – it is estimated that the length of the nets laid out each spring and autumn to catch desperately tired migrants totals over 700 km in Egypt alone!!! Then there are overhead power cables that birds fly into, together with an increasing number of wind farms that large birds are not evolutionarily adapted to avoiding. It’s a wonder any birds make it! Sadly fewer and fewer do. For those birds that do manage to successfully cross into Europe, even when they arrive at their breeding grounds the dangers are still there. 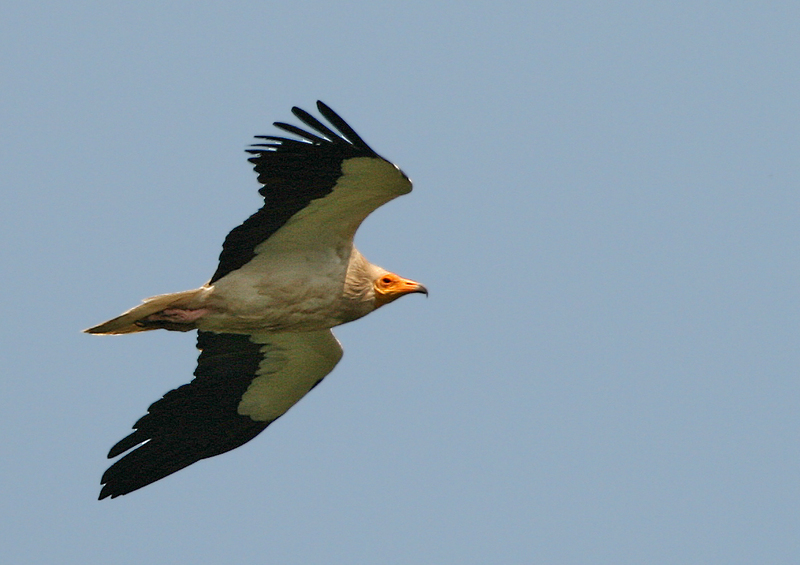 Take Lazarus, an Egyptian Vulture nursed back to health from poisoning and fitted with a satellite transmitter. He left Greece in 2012, spent the winter in Africa and headed home in 2013. His journey took him over Egypt, Israel, war-torn Syria and Turkey, but two days after crossing the Greek border, only 200km from home, he swallowed poisoned bait and died. Now all this makes me angry. Really bloody angry. But what can we do? Well, if it makes you angry perhaps you would consider this. 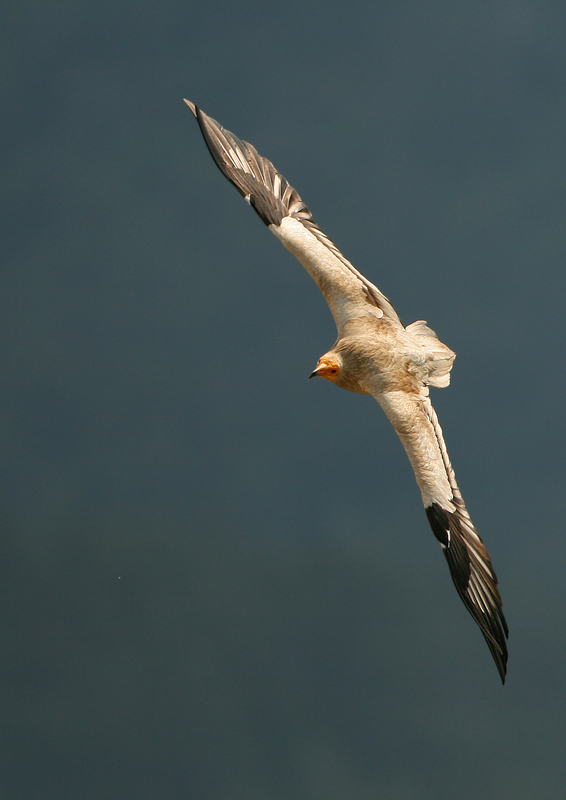 A fundraising appeal has been made by Birdwing (a conservation organisation set up by my wife and me several years ago – see birdwing.eu) to raise money to help prevent the extinction of Egyptian Vultures from Greece. As part of an ongoing project anti-poison sniffer dogs are working in the breeding territories. They sniff out poison baits before they can do their killing. 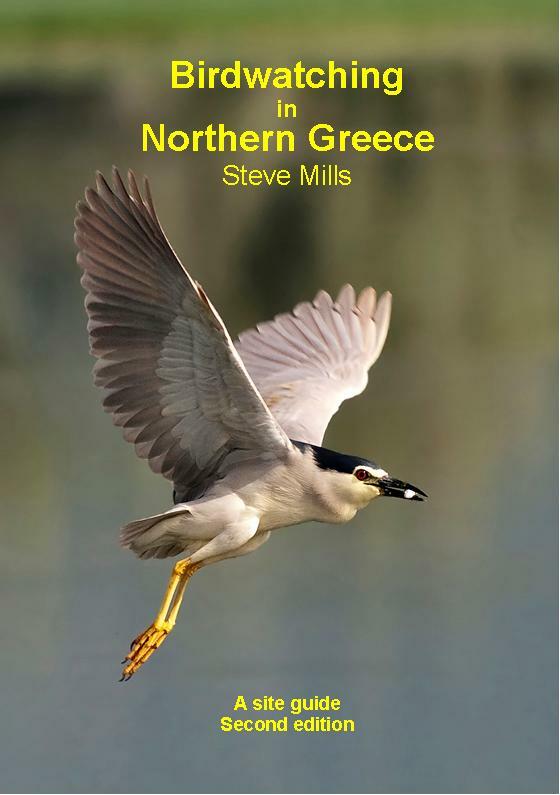 It is vital work and every small donation can have a massive impact on the future of this species in Greece. It’s a chance to make a difference. Will you help? For the momentum against wildlife killing to build further we need more people to see what’s happening in our countryside. We need more people to become aware of the sheer scale of the killing out there, and not just the illegal killing but the full-scale slaughter that occurs under the care of the ‘guardians of our countryside’. Over coffee the other day my wife and I fell into discussion with friends about legal killing. These friends – people who walk dogs, take their children cycling and even have RSPB membership, but without what I would describe as more than a passing interest in conservation matters – were staggered to hear of the legal slaughter of wildlife when I recounted the toll of creatures killed on one estate during one season a few years ago. These figures are listed in Mark Avery’s book ‘Fighting for Birds’ , and were first published in Country Illustrated Magazine. 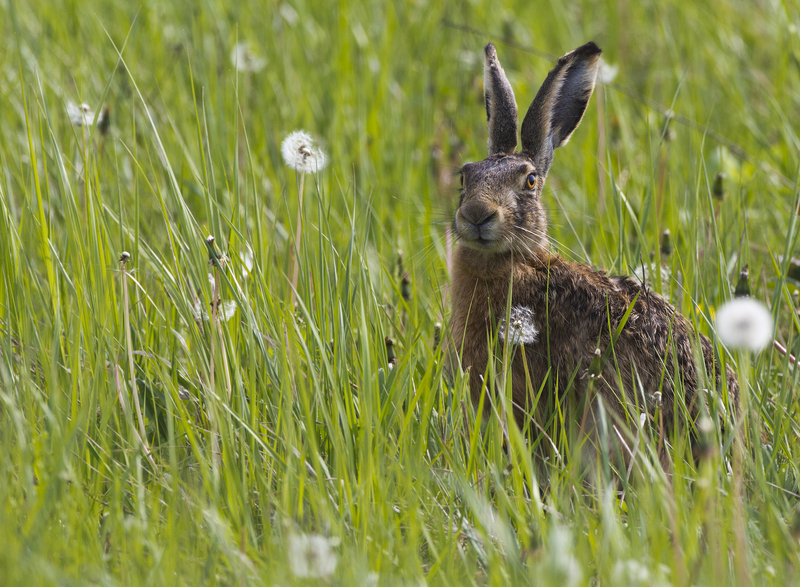 The death list included 16,296 rabbits, 7653 rats, 1209 grey squirrels, 420 stoats, 249 magpies, 179 carrion crows, 188 weasels and 82 foxes – in one shooting estate in only one year! (2005). To hear, too, that thousands of mountain hares are killed each year legally by sporting estates in Scotland  was met with astonishment. They certainly believed that many of our loved wildlife species are ‘protected’. This is legal extermination before we even get to the illegal activities occurring in our countryside. People, like these friends, are stunned to know that such a continual and massive death toll occurs day-in, day-out … much of it happening on ‘sporting estates’ in order simply for other birds to then be shot! Let’s draw attention to the illegal and appalling wildlife crimes that go on every day, but let’s also raise general awareness of the extent of the legal killing – all the creatures that people are deprived of seeing as they go about their daily activities in the countryside. How often do we see a badger, hare, stoat or country fox? Our national natural heritage is being stolen from our lives unchallenged. Illegal slaughter – outrageous as it is – is just the tip of a very bloody iceberg. Some excellent organisations – BAWC for one, are doing a great job of shining a light on illegal killing and need to be applauded and supported for doing so. But we also need a light directed at the whole iceberg. We need the public to see the full extent of what’s going on. When people come across an injured animal they are concerned. They may go out of their way to help, take it to a rescue centre, the vets, etc. When a whale becomes stranded or wanders up the Thames it makes the news. People care. So we don’t need to educate the public to care about animals – it’s clear they already do. The new season of ‘Autumnwatch’ will be popular, and people will happily identify with ‘Angus the stag’, ‘Billy the badger’ or ‘Hannah the hare’ and want to know, in the manner of a soap opera, what will happen next in the lives of these animals. And this is the crux – we have to tap into this personalisation of nature that people identify with so readily. We must help people become aware of the bigger picture. That in Hannah’s case, for example, huge numbers of her kin are legally killed every year to ensure more bountiful grouse shooting. That the likes of Autumnwatch engages millions of people has to be a good thing but those of us interested in a richer natural world must find ways to get people to see beyond Hannah’s or Billy’s daily goings-on and to realise what we are doing to others of their kind. That’s the message that needs to get out there. Only then can they begin to care on a larger scale. The declining presence of creatures, and ultimately their absence, is difficult to see without invoking scientific surveys. We all notice the first swallow of spring but not the last one of autumn. Sadly this works in favour of those intent on removing our wildlife. As numbers fall we get less used to wildlife encounters and this ‘shifting baseline’ becomes the norm. Recently there seems to have been a coming together of like-minded conservationists – a growing partnership of people who are informed enough to want to challenge the way things are. How can we get those other millions out there to be equally informed and thus perhaps to swell our ranks immeasurably? The ‘#WeSeeYou’ WildlifeCrimeAware campaign, formed by theWildOutside.com in partnership with BAWC and is an excellent example of what can be done to reach more people. We should, if we care, all be supporting this initiative by putting up posters in our local area. 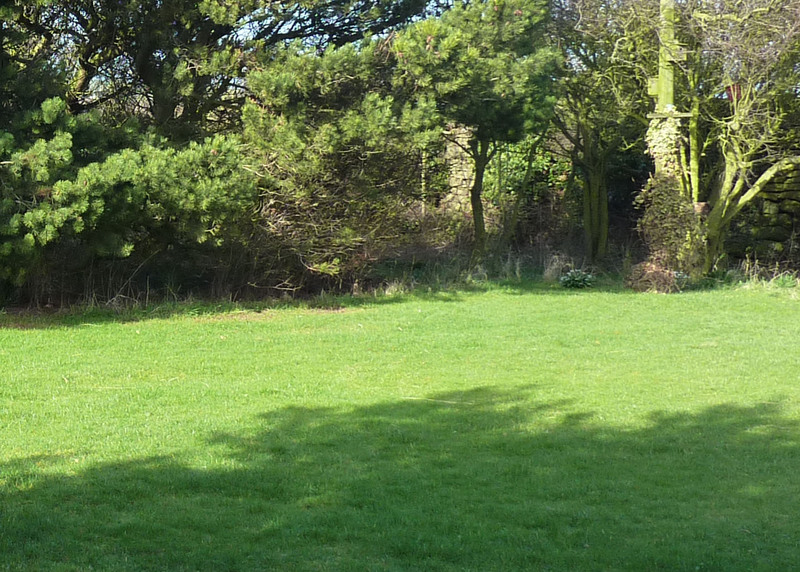 Whilst its aim is to send a message to the wildlife criminals it will also provoke questions about countryside use in the minds of the dog-walkers, runners, cyclists and so on who pass through our moorlands, fields and coastal areas. Let’s reach out to them and try and get them involved. They care. They really do. And they are the ones we must now engage. 1. M. Avery ‘Fighting for birds‘ page 211. Pelagic Publishing 2012. So, Hen Harrier Day is over. It was uplifting, and those of us who were there, dripping and paddling, felt a sense of cohesion and inspiration from being with a group of committed, like-minded people who have simply had enough of the illegal persecution of birds of prey. And it’s now so important that this momentum builds. The fact that the likes of the Daily Telegraph is writing such tendentious, scurrilous, ill-informed pieces show that some people, somewhere, are running scared. Maybe in the future we will see Hen Harriers and other raptors living unmolested on our grouse moors. Let’s hope so, but it could be some time in coming. Nevertheless, I’m in it for the long haul. In the meantime, with our attention focused on driven grouse moors, let’s not forget all the other areas of our uplands that are also harrier – and raptor – free. In fact many of them are pretty much bird free altogether. 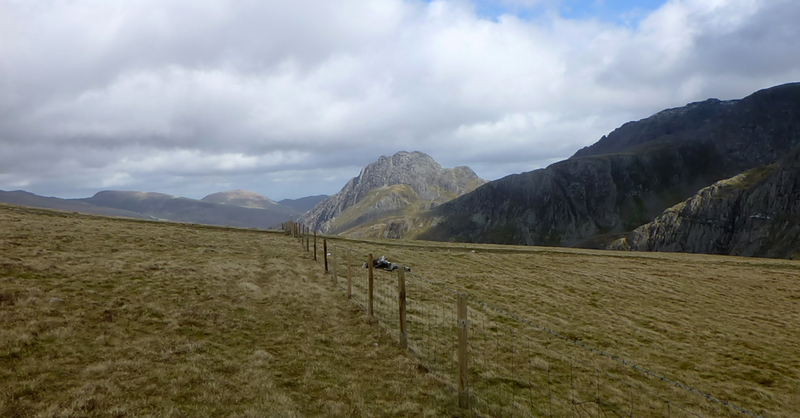 In April I spent a day in Snowdonia – one of our national park ‘jewels’. After 8 hours of walking my birdlist was……… five. Five species – in a national park for God’s sake. If it hadn’t been for half a dozen Herring Gulls scavenging sandwiches at the summit of Snowdon the total of individual birds seen wouldn’t have been much more than five. A few Ravens, a singing wren, two Meadow Pipits and a Pied Wagtail in the car park completed the list. After eight hours in a National Park in April. Wow. Raptors? Don’t be silly, there wasn’t a single one. Why would there be raptors? There was absolutely nothing for them to eat. I say it again – in a national park in April. George Monbiot’s term for these uplands is the most apt – they are ‘sheepwrecked’. (1) They are a barren, green, short-cropped desert, the result of subsidised overgrazing that we – you and I – pay for. It seems that, in 2010, the average Welsh sheep farm on the hills received £53 000 in subsidies. The average net income per farm was £33 000. Hang on, that’s a deficit of £20 000 per farm. That’s right, in creating a green desert each farm incurred a loss of £20 000. So, we pay £53 grand a year to each farm to encourage them to, in effect, remove wildlife and wildlife habitat from the hills. So no harriers there either, then. And this is considered normal in our national parks. Let’s just do that again. We – you and I – pay £53 000 per farm to create an upland desert. And it gets worse. Before 2004, subsidies were paid to farmers according to how many animals they had, but since then they have been paid in accordance with how much land is farmed. This has made it financially advantageous for hill farmers to remove any remaining scrub etc. on their land to increase their eligibility for subsidies and, in so doing, further reduce its wildlife potential. It’s clearly a nonsensical way to go about things. One of the traps that we, as humans, often fall into is believing that things have always been as they are now. In the case of our uplands they haven’t always been as they are now. Grazing by sheep has created the current lifeless state of much of them. Hardly anything survives their relentless molars. But, when any change is mooted, the prophecies of doom come thick and fast, e.g. Will Cockbain, until 2012 the National Farmers’ Union spokesman on hill farming, ‘If the hills are not grazed, they will turn to scrub and trees, which may look scenic but will decrease biodiversity.’ (3) Good God! 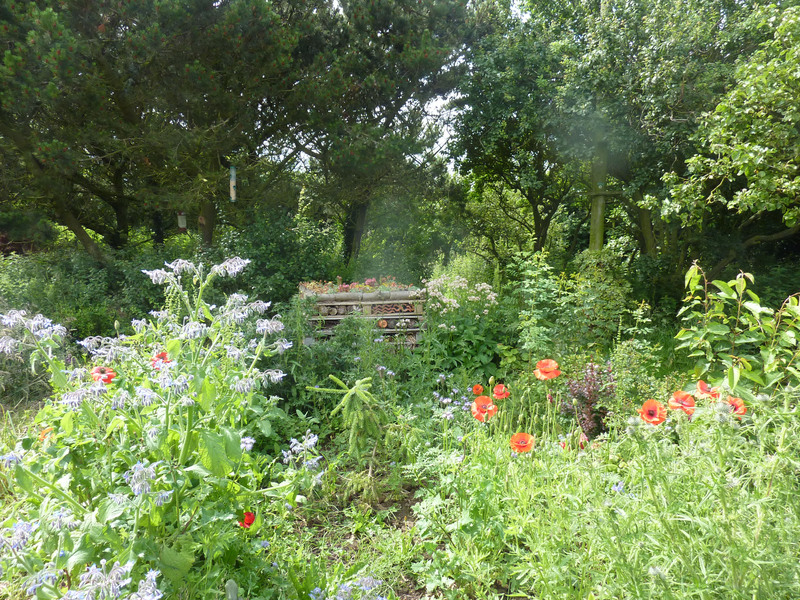 Less biodiversity? Could that be possible? Could we be heading for a birdlist of zero? You simply couldn’t make such nonsense up. Sheep farming is a particularly unproductive and damaging use of our uplands and it’s about time that we, in Britain, had a look at the whole issue of our upland areas. Their current state is an economic and environmental disaster. And that’s not to even mention the rain that now streams straight off the scoured hills to create flooding misery downstream. Let’s think beyond the constraining prism of the present. We need to get past all this trotted-out nonsense about sheep farming being vital in maintaining the land as it always has been. It isn’t and it hasn’t. It used to be richer, more diverse and much more full of life. We need to develop a vision of what these areas could be. We need to discuss what we think the uplands are for and then find a way of changing them for the better, both for wildlife – harriers included – and, as a result, for us and our experiences of being in them.